The mission behind Farm Aid is simple: keep family farmers on their land. However, as each year passes the task seems to become more daunting especially with local family farmers facing extreme economic pressure. This rising crisis is directly threatening the very existence of the family farm in America. Family farmers are the pillars of their communities and they’re essential to the economic vitality of not only their local communities, but also the nation. When family farmers suffer, so does the quality of the food they produce. Large factory farms are no doubt a danger to not only our environment but also our food security. Each year, Farm Aid board members Willie Nelson, Neil Young, John Mellencamp and Dave Matthews host an all-day festival to concert to bring together a wide variety of artists, farmers and fans to benefit family farmers. Since 1985, Farm Aid has raised over $50 million to help family farmers thrive all over the country while inspiring millions of people to stand up to take part in the Good Food Movement. The 32nd annual event was held at the KeyBank Pavillion, in Burgettstown, Pennsylvania (better known to fans as Star Lake), just outside of Pittsburg. Festivities opened up with Willie Nelson & The Wisdom Indian Dancers around 12:30, a traditional welcome of the ceremonies for Farm Aid. Shortly after the beautiful performance from the Wisdom Indian Dancers, Blackwood Quartet took the main stage and serenaded the crowd as they were still trickling in from the many entrances. Insects Vs Robots took the steering wheel next on the main stage and delivered a nice set of their genre-bending sound. Valerie June was a nice addition to the bill this year and her soulful blues-rock fit perfectly with this year’s lineup. Hailing from Memphis, June is supporting her 2017 release The Order Of Time and with a new bevy of songs now embedded in her arsenal the singer-songwriter is poised for monumental things. The Avett Brothers took the stage at approximately 4:45 p.m. and opened up with “Laundry Room” > “Talk on Indolence.” The band came out firing from all cylinders and revved the crowd up with a jolt of energy. Scott and Seth Avett have an unexplainable chemistry together not only through their songwriting but also their on stage performances. At one point Seth Avett even jumped down and got down to the crowd where he high-fived a fan in the front row. Other highlights from their set were the two-song punch of Daniel Decatur Emmett cover “Jordan Is A Hard Road to Travel” > one of their most beloved originals “Ain’t No Man.” The band kept to mostly songs from I And Love And You and served up a beautiful set with a full range of emotion. 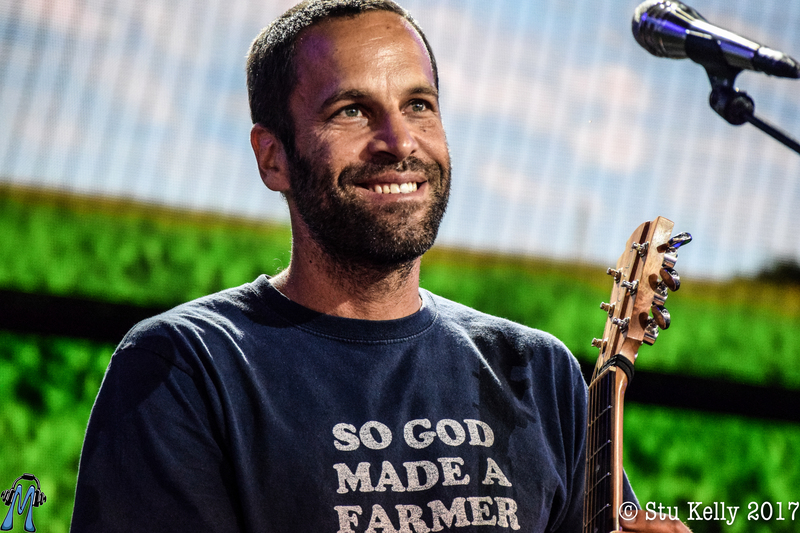 Jack Johnson made his triumphant return to Farm Aid and at this point in the evening had the largest crowd in their seats ready to see what the singer-songwriter was going to serve up. Johnson was all smiles throughout his set often pointing at someone in the crowd, telling stories in between songs and genuinely having a great time on stage. Jack opened up with a brand new autobiographical song he wrote moments before he took the stage called “Willie Got Me Stoned and Stole All My Money.” The title of the song says it all as Jack got caught up in a few poker games with the Farm Aid board member. Jack turned to his roots as he played “Good People” next, fully embodying the theme of the people who want to help local farmers. Without wasting any time, Jack brought out Sheryl Crow, Jamey Johnson and Nathaniel Rateliff & The Night Sweats for a stunning rendition of Bob Dylan’s “I Shall Be Released.” “Bubble Toes” found its way into “Breakdown” where Lukas Nelson emerged to add to the laid-back number. Jack and Lukas swung into a beautiful tease of Steve Miller Band’s “The Joker” inside “Breakdown.” The Avett Brothers came out and played “Mudfootball” > “Better Together” before Johnson closed with his new single “My Mind is For Sale” off his brand new album All The Light Above It Too. Sheryl Crow followed Johnson’s incredible set and took the momentum in stride. 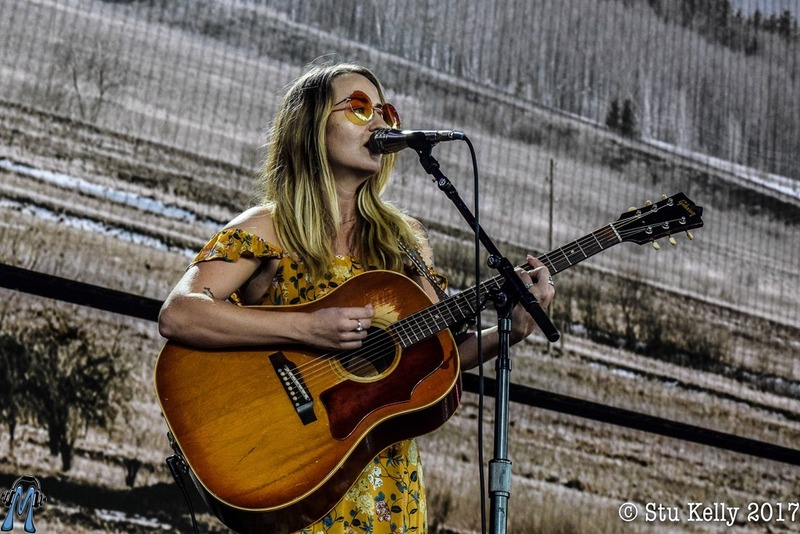 Crow opened up with “Everyday Is A Winding Road” before eventually welcoming Margo Price back to the stage for a duet on “Strong Enough.” Crow stated she was a “huge fan” of Price and was notably happy to share the spotlight with her. Crow closed her set with “If It Makes You Happy” which paved way for a tribute to The Allman Brothers Band with a cover of “Midnight Rider,” featuring Margo Price, Jack Johnson and both Willie and Lukas Nelson. Dave Matthews and Tim Reynolds no doubt retained most of the fan base in the audience. The two have become a staple at Farm Aid and together they’re coming off one of their most successful summer tours as an acoustic duo in their career. As the two guitar players took their spots on stage the opening notes of “Don’t Drink The Water” came slowly out of the PA as the two artists extended the intro nicely. While Neil hasn’t missed a single Farm Aid since its inception in 1985, recently Young has cancelled a lot of performances this year alone. Earlier this year he cancelled a festival appearance in Australia, bailed on a tour in South America and Japan and pulled out of his commitment to induct Pearl Jam in the Rock and Roll Hall of Fame. Young also put the Bridge School Benefit on hold, with no foreseeable plans to change that in the future. 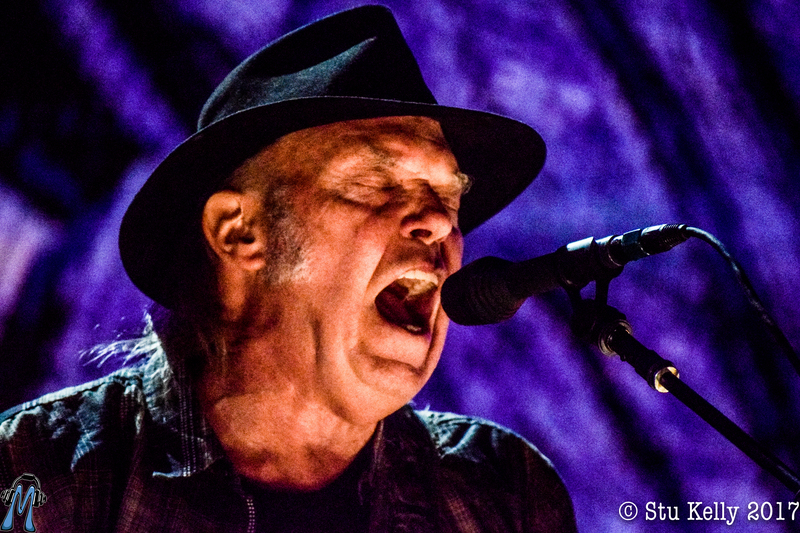 Needless to say, it was more than a treat to see the rock and roll icon take the stage at Farm Aid. Young stole the evening and left no stone unturned. When it was all said and done people in attendance were left content and satisfied with the incredible marathon event of music. While the last note has come and gone through the PA system, the message of importance to help the local American family farmer still rings as loud as ever.